Hello Dear Reader! 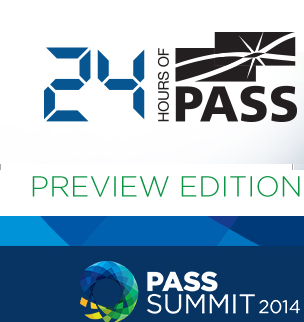 We are already away into the 24 Hours of PASS Summit Preview for 2014! I don't know if you heard, but I have a pre-con at the PASS Summit! More precisely SQL MVP Robert Cain(@arcanecode | Blog) had a great idea for a precon and invited SQL MVP/MCM Jason Strate (@stratesql | Blog) and myself to join him. We decided early on that we have a great opportunity to showcase how we use PowerShell to complete tasks on the Business Intelligence, DBA, and Cloud engagements and pass on real world skills. We also want to do it in a way that things are useful. Our goal is to have things we can give you that will allow you to leave the pre-con and use right away. We also realized with a bunch of smart guys (and me), presenting we had the opportunity to use Humor and a bit of stage acting. 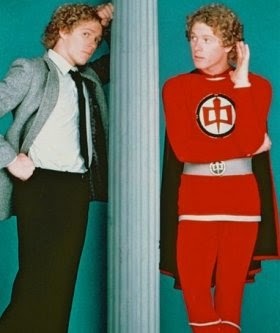 I'll be playing the role of the Zero in our pre con. "So Balls", you say, "What's a Zero, and how do you play one? (and why are you explaining this)?" Great questions Dear Reader! First let's talk about, what's a zero? I will be pretending that I do not know how to use PowerShell. That I don't understand how to use the verbiage, variables, function, modular code design, how to import modules, or do a lot of other stuff you need to know. I will need to learn from the ground up as if I'm a beginner in the class. I will ask questions, get explanations, and help bring the audience along. As the day progresses I'll become a hero using concepts and technology to deliver some end to end solutions. I'll even take over the Azure PowerShell portion at the very end of the day. Why am I explaining this? PASS has an international audience and I'm not a professional actor. I'll do my best but some may miss the humor in what we are presenting. Robert, Jason, and myself spoke last night and we didn't want anyone to think that I didn't actually know PowerShell or give reason to doubt why I'm participating in the pre-con. So sit back today, enjoy our session. I hope you enjoy me being the Zero, and come to the Summit to find out how to be a Hero with me. But wait there's more!! Today during out session Robert and I will do most of the talking. Jason will be live answering your PowerShell questions using the #pass24HOP hash tag on twitter, and answering the questions in the room chat on Twitter as well. This promises to be a fun session, hope to see you there! Here is the link to our pre-con. Here is a link to the 24 Hours of PASS website. Good luck, happy learning, and as always Thanks for stopping by.